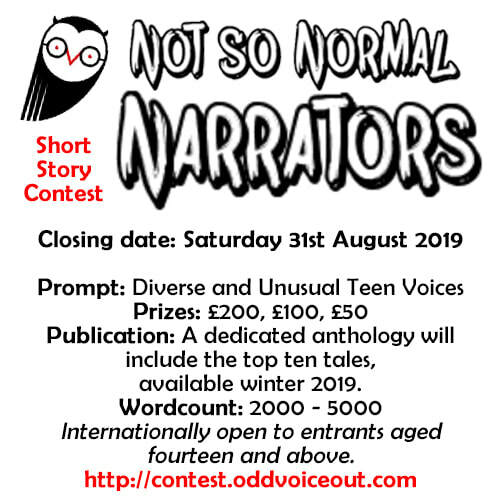 Odd Voice Out is an independent literary press, publishing YA and crossover stories filled with unique characters thrown into extraordinary circumstances. Our genre-bending books take contemporary social and political themes and explore them through a range of historical, futuristic, surreal and supernatural settings. Our diverse young heroes are never your typical leading guys and girls, but are flawed insecure misfits struggling with everything from racial and sexual identity, body issues, disabilities, mental health and worst of all, being teenagers growing up in worlds gone mad. Get published with us! Send your entries now for our first annual writing competition. Subscribe to Odd Voice Out News!